“It is with great humility and concern that the new editor assumes the responsibility of The Ocean Springs Record. Humility, because of the realization that our background and experience in the field of journalism falls for short of our predecessor’s. Concern, because we are not yet apprised of the reception of our readers and advertisers. We shall do our best to earn the respect and support of both.” With this statement, David S. McFalls, a former insurance agent, began his career as and editor and publisher on February 23, 1967. 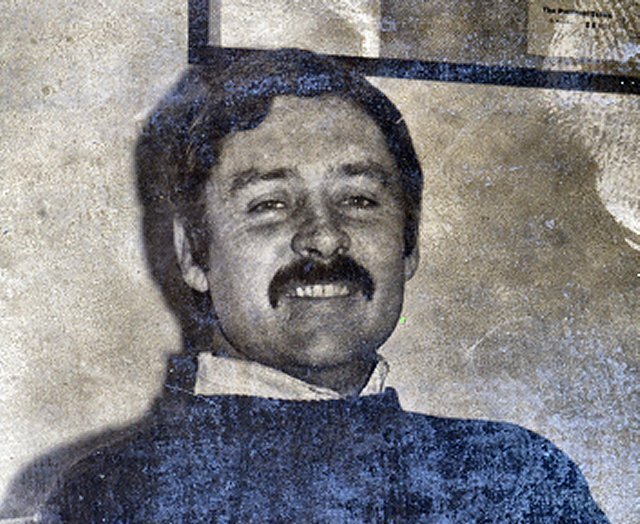 In March 1970, Wayne William Weidie (b. 1941), a native of New Orleans, became publisher of The Ocean Springs Record. Dennis F. Knecht, a recently retired USAF Captain and Penn State University journalism major, joined the staff as managing editor. Mr. Knecht had formed a local bond with Ocean Springs when he wedded Patricia Broome, the daughter of Wylie T. Broome (1903-1971) and Dovie Haddox Broome (1904-1982). Mona Allen served the publication as advertising manager. 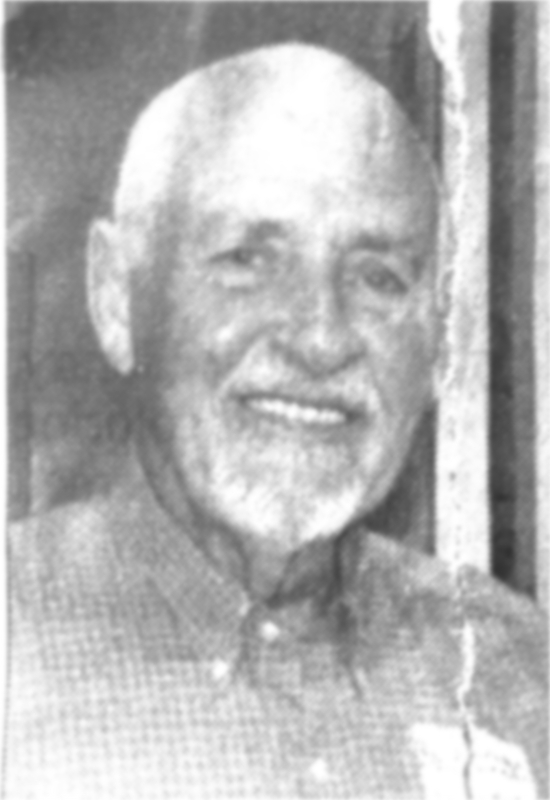 Wayne W. Weidie had been reared and educated at Pascagoula, Mississippi by Alfred E. Weidie (1907-1986) and Dorothy McDonald Wiedie ( ), his parents. Mr. Alfred E. Weidie worked as an accountant. Wayne received his Political Science degree from Mississippi State University in 1963. Graduate studies in Poly Sci followed at LSU. The Mississippi Publishing Corporation was owned by the Hederman family of Jackson, Mississippi. During their five year ownership the Hedermans continued to operate as The Ocean Springs Record and maintained Wayne W. Weidie as their editor and publisher. Gannett Co., Inc. is one of the most diverse news, information and communications companies in the USA. A company rich in its diversity of people and communities, Gannett serves readers and viewers through its operations in 38 states and the District of Columbia, Guam, the United Kingdom, Canada, Belgium, Germany and Hong Kong. It began in 1906, when Frank Gannett and his associates bought a half interest in the Elmira Gazette in Elmira, N.Y. From this small venture, Gannett and his associates expanded gradually, purchasing another newspaper there and merging them to form the Star-Gazette. Today Gannett is a multimedia operation with interests in newspapers, television, and the internet. USA Today is its flagship, national journal. After the Gannett purchase, Wayne W. Weidie remained as editor and publisher. The Record was printed at Hattiesburg, Mississippi by the Hattiesburg American during Gannett’s ownership. ‘Torgerson on Sports’ a syndicated sports column by Stan Torgerson (1924-2006), former Ole Miss football and basketball radio broadcaster and sportswriter for the Meridian Star,was used in the 1980s to supplement Editor Weidie’s local sports journalism. Mr. Weidie’s love for State and national political commentary was emphasized in The Record, as he utilized two syndicated Mississippi political columnists: Sid Salter, publisher of the Scott County Times whose ‘Good Ole Boys’ and ‘The Denley Report’ by Gale Denley, publisher of the Calhoun County Journal, were fixture for years in his broadsheet. ‘Hounds Tale’, the OSHS news, and Bull Dog Bark, a Vancleave High School, preppy, news feature, were included in The Record. Warren Kulo joined The Record in 1990 and confidently wrote local sports and became managing editor during his long but somewhat intermittent tenure with the local weekly. In the same vein, Raines Rushing, a ‘writer for all reasons’, and Melissa Schneider, ‘a lady for all stories’, were contributors during the Ricketts era. Ray L. Bellande came aboard in May 1993 and wrote ‘Sous Les Chenes’ until March 2001. His column was a potpourri of local history from Colonial times to the recent past. Bellande also has a website, oceanspringsarchives.net, which went online in October 2004 and contains many of his Mississippi Gulf Coast historical essays and vintage images. With mutual regrets, the Ricketts family departed Ocean Springs for Marianna, Florida. Here James and Cindy operated ironically a weekly journal, The Jackson County, Floridian. During their absence, The Record was managed by The Hattiesburg American and supervised from Pensacola and locally from 1999 until 2001 by Thomas Ashton Jr., Katy Taylor, and Sally Hope. Editor and proprietor Ricketts asked Ray L. Bellande to come out of the ‘stacks’ and continue chronicling the local history. Reyn Pravata, sports editor, joined the staff in 2006?. In addition to The Ocean Springs Record, Jerry and Donni Turner also own the Biloxi-D’Iberville Press, formerly The Bay Press. The Turners own Family Media Inc., newspapers in Florida, a TV station, and a newspaper industry trade publication. Initially they hired Patti Guider of Biloxi as publisher of The Ocean Springs Record. 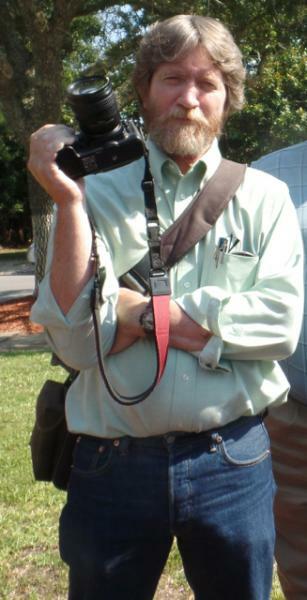 Later Leigh Blount Coleman became editor-publisher, feature writer and photographer. She left the Record in July 2009 as the journal reached an all time low in circulation and news. Ms. Coleman joined The Gazette, a new journal for Ocean Springs, which published its first issue on August 19, 2009. Charles Fortson McKellar Jr. (1935-2012) was born at Columbus, Mississippi. He graduated from Mississippi State University in 1958 and has acquired much experience in journalism, media and political promotions, and politics in his plus fifty year career. Charles was press secretary for a Governor of Mississippi; the first National Media Manager of Billy Beer, a promotion of Billy Carter (1937-1988), brother of President Jimmy Carter (b. 1924). ; first Promotion Director for The Daily Herald ; executive producer for Nashville on the Road, a 1975-1981 television show starring Jerry Clower (1926-1998), Mississippi comedian; executive editor of Proud to Call Mississippi Home (2006) and author of The Candidate Conspiracy (2011). Certainly not the acme of his career, Charles McKellar led the unsuccessful mayoral campaign of Scott Walker, a Republican, in 2010 to unseat Connie Marie Moran, incumbent Mayor of Ocean Springs, Mississippi. Mr. McKellar left the Ocean Springs Record to promote his book and continue his writing. The Bay Corporation, Incorporated acquired the Ocean Springs Record in late 2010 or early 2011. The Ocean Springs Gazette, “Gazette [and] Record merge', December 28, 2017. The Ocean Springs News, “McFalls buys newspaper”, February 23, 1967, p. 3. The Ocean Springs Record, “O.S. Record sold here”, February 15, 1967. The Ocean Springs Record, “A statement from your editor”, February 23, 1967. The Ocean Springs Record, “Terry Price joins O.S. Record Staff”, May 29, 1969. The Ocean Springs Record, “Off The Record”, January 29, 1970. The Ocean Springs Record, “A message from the editor”, February 12, 1970. The Ocean Springs Record, “McFall retires from Record”, February 12, 1970. The Ocean Springs Record, “Ocean Springs Record sold”, February 12, 1970. The Ocean Springs Record, “Farewell again”, February 26, 1970. The Ocean Springs Record, “Record begins sixth year”, August 6, 1970, p. 1. The Ocean Springs Record, “Caboose placed next to Whistle Stop by David McFalls”, January 14, 1971, p. 2. The Ocean Springs Record, “McFalls resigns chamber post”, August 15, 1974, p. 1. The Ocean Springs Record, “Chamber director discusses Whistle Stop situation”, September 12, 1974, p. 3. The Ocean Springs Record, “David McFalls dies here Tuesday”, September 12, 1974. The Ocean Springs Record, January 24, 1975. The Ocean Springs Record, “OS Record purchased”, April 28, 1977, p. 1. The Ocean Springs Record, “Open House”, May 2, 1979, p. 1. The Ocean Springs Record, “Record joins Gannett Group”, April 8, 1982, p. 1. The Ocean Springs Record, “20th Anniversary”, August 15, 1985, p. 1. The Ocean Springs Record, “OS Record past and present”, August 15, 1985, pp. 4-5. The Ocean Springs Record, “Former advertising director recalls work on Ocean Springs Record”, August 15, 1985, p. 5. The Ocean Springs Record, “On our birthday-Thanks”, August 15, 1985, p. 6. The Ocean Springs Record, “Perkins-Weidie”, September 4, 1986, p. 7. The Ocean Springs Record, “McFalls, wife of former publisher, dies”, September 18, 1986. The Ocean Springs Record, “Thank you all”, January 4, 1989, p. 2. The Ocean Springs Record, “Weidie joins Taylor staff”, January 4, 1990, p. 1. The Ocean Springs Record, “Ricketts named to head Record”, March 29, 1990, p. 1. The Ocean Springs Record, “MSU to receive Weidie papers”, October 28, 1993, p. 3. The Ocean Springs Record, “Ocean Springs Record to continue coverage”, February 4, 1999, p. 1. The Ocean Springs Record, “OSR-GI sold to Ricketts”, September 20, 2001, p. 1. The Ocean Springs Record, “Record changes owners”, July 19, 2007, p. A1. The Ocean Springs Record, “In parting”, July 19, 2007, p. A2. The Ocean Springs Record, “POST impressions”, June 19, 2008. The Ocean Springs Record, “44 years and counting: the Record is still here”, September 24, 200. The Ocean Springs Record, “OSR tabs Kulo as editor”, September 24, 2009. The Ocean Springs Record, “About our new publisher”, January 7, 2010. The Ocean Springs Record, “OS Record moves, welcomes Coleman as editor”, March 31, 2011. The Sun Herald, "Ocean Springs, Gautier papers get new editor", March 30, 1990. Ms. Coleman left The Gazette in the spring of 2010 and was replaced by Frank Stumbo. He stepped down in November 2010 and Angela H. Cutrer became editor. In January 2011, Amanda Bybee, graphics director, was the only original employee remaining with the Gazette. 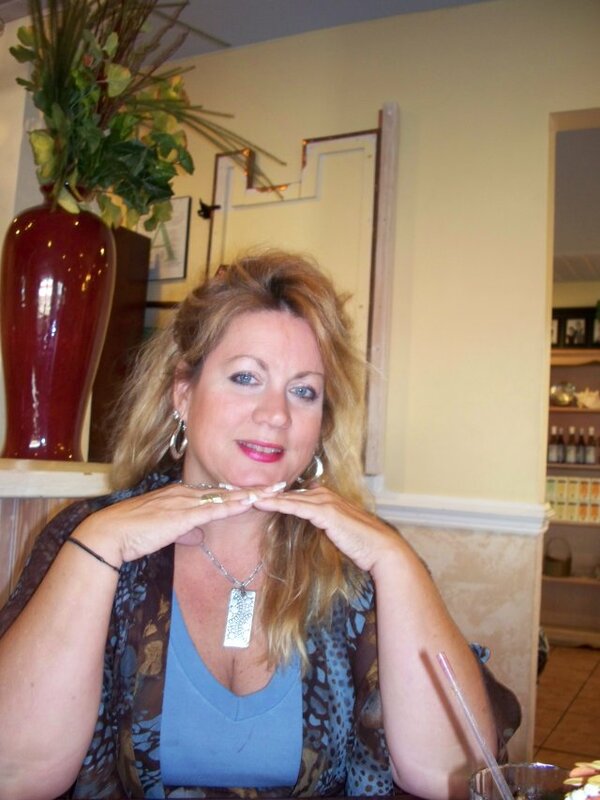 Tobie Baker joined The Ocean Springs Gazette in November 2011. He was born at West Memphis, Arkansas circa 1972. Mr. Baker was reared by Baptist missionary parents in the hill country of north Mississppi and resided at Batesville and Carson, Mississippi before becoming a resident of Oxford, Mississippi. Circa 1992, Tobie Baker matriculated to the University of Mississippi where his major fields of study were Journalism and Advertising. He graduated from Ole Miss in 1996. In 2000, Baker found employment with the University of Mississippi public relations office at Oxford, Mississippi. His hobbies are brewing beer and film making. In 2010, Tobie directed and produced a short documentary, Valentease, about a burlesque performance. It was filmed in Oxford, Mississippi and was an official selection at the 2011 Oxford Film Festival. Tobie Baker, executuve editor, left The Gazette in early April 2012 and was replaced by Laurel Luckey, the daughter of Alwyn H. Luckey, owner and publisher of the journal. Laurel attended OSHS and graduated from the University of Mississippi in 2011? with a degree in marketing. On occasions while an Ole MIss undergraduate, she wrote fashion and style articles for The Gazette. In 2012?, James and Cindy Ricketts, former owners of The Ocean Springs Record, returned to Ocean Springs from Lubbock, Texas and acquired The Gazette. The Gazette, "Hester named as executive editor", February 23, 2011. The Gazette, "Hello Ocean Springs! ", November 9, 2011. Mary Louise Adkinson, Bousage-Bosarge Family, Mississippi Coast Historical and Genealogical Society-Special Issue 4 (June 1986), and 2nd Edition (January 1991), 321 pages. Melba Goff Allen, 1850 Census of Jackson County, Mississippi, (Allen: Pascagoula-1988), 54 pages. Melba Goff Allen, Death Records of Jackson County, Mississippi, (Jackson County Genealogical Society: Pascagoula-1990), 140 pages. Agnes Anderson, Approaching The Magic Hour, (University of Mississippi Press: Jackson-1989), 177 pages. William Bartram, Travels of William Bartram, (Dover Publications: New York-1955), 414 pages. Ray L. Bellande, The Bellande Cemetery, Ocean Springs: A History and Register (1851-1990), (Bellande-Ocean Springs-1991), 30 pages. ---------------, Cemeteries Near Ocean Springs, Jackson County, Mississippi, (Bellande: Ocean Springs-1992), 141 pages. ---------------, Ocean Springs Hotels and Tourist Homes, (Bellande: Ocean Springs-1994), 155 pages. John H. Blitz, C. B. Mann, and Ray L. Bellande, Mississippi Archaeology, Vol. 30, No. 1, June 1995, “Fort Maurepas and Vieux Biloxi: Search and Research”, 36 pages. Carl A. Brasseaux, A Comparative View of French Louisiana, 1699 and 1762: The Journals of Pierre LeMoyne d'Iberville and Jean-Jacques-Blaise d'Abbadie, (The Center For Louisiana Studies, USL: Lafayette, Louisiana-1979), 159 pages. Laville Bremer, Biloxi Historical Sketch, (General Printing Company: New Orleans-1931), 42 pages. Mary Plummer Buford and Albert G. Buford, “The Bufford Letters”, a series of approximately forty letters written from August 2, 1878 until September 15, 1878, from Mary Plummer Buford (1808-1878) at Ocean Springs to her husband Albert G. Buford (1813-1878+) of Water Valley, Yalobusha County, Mississippi, relating some of the events of the 1878 Yellow Fever Epidemic at Ocean Springs. The original Buford letters are now in the possession of Wally Northway, a descendant of A.G. Buford. Northway is a resident of Florence, Mississippi. Copies exist in the Jackson County, Mississippi Chancery Court Archives, Pascagoula, Mississippi. Cyril E. Cain, Four Centuries on the Pascagoula: History, Story, and Legend of the Pascagoula River Country,(The Reprint Company: Spartanburg, South Carolina-1983), Two volumes. Margaret Rose Carraway, "The Cornerstone of Old Fort Maurepas", Journal of Mississippi History, April, 1951. pp. 101-104. Nap L. Cassibry, II, The Ladner Odyssey, Mississippi Coast Historical and Genealogical Society-Special Issue 6 (January 1988), 931 pages. Charting Louisiana: Five Hundred Years of Maps, (The Historic NOLA Collection-New Orleans, Louisiana-2003), 383 pages. J.F.H. Claiborne, Mississippi as a Province, Territory, and State, (The Reprint Company: Spartanburg, South Carolina-1978. Reproduced from an 1880 edition), 591 pages. Thomas Ewing Dabney, Ocean Springs: The Land Where Dreams Come True, (Republished by 1699 Historical Committee-Lewis Printing Service: Pascagoula-1974. Originally published circa 1915), 34 pages. Discover Ocean Springs, (Greater Ocean Springs Chamber of Commerce Annual Magazine by Hubert St. Onge, et al), approximately 60 pages). Charles L. Dufour, Ten Flags in the Wind-The story of Louisiana, (Harper & Row, Publishers-New Yorj-1967), 307 pages. M. Le page Du Pratz, History of Louisiana, (Claitor’s Publishing Division: Baton Rouge, Louisiana-1972), 366 pages. Charles L.Dyer, Along The Gulf, (Women of the Trinity Episcopal Church: Pass Christian-1971. Originally published 1895, 60 pages. Robert B. Fisher, The French Invade the South and Lose, (Shaugnessy & Co.: Biloxi-1984), 50 pages. Alcee Fortier, A History of Louisiana (4 Volumes), (Manzi, Joyant, & Co.: New York-1904). T.H. Glenn, The Mexican Gulf Coast on Mobile Bay & Mississippi Sound Illustrated, (Delchamps: Mobile, Alabama-1893), 100 pages. Dale Greenwell, Twelve Flags Triumphs and Tragedies: A Complete documented, detailed history of the Mississippi Coast and its people, (Published by Greenwell-1968), 175 pages. Lurline S. Hall, Plum Wine Reveries, (Letohatchie, Alabama: 1984) (stories told by Joseph Louis "Dode" Schrieber about growing up in Ocean Springs in the late 1800s), 52 pages. Ellis Handy, "Know Your Neighbor", The Gulf Coast Times (Newspaper) (July 1949 to November 1949). A series of informative articles on families and individuals who contributed to the development of Ocean Springs. Jean-Baptise de la Harpe, The Journal of the Establishment of the French in Louisiana, (University of Southwestern Louisiana: Lafayette, Louisiana-1971), 272 pages. Nollie Hickman, Mississippi Harvest: Lumbering in the Longleaf Pine Belt (1840-1915), (The Paragon Press: Montgomery, Alabama - 1962), 306 pages. Jay Higginbotham, Fort Maurepas: The Birth of Louisiana, (Colonial Books: Mobile-1968), 93 pages. ----------------------, The Journal of Sauvole, (Colonial Books: Mobile-1969), 70 pages. ----------------------, Old Mobile: Fort Louis de la Louisiane (1702- 1711), (Museum of the City of Mobile, Publication No. 4: Mobile-1977), 585 pages. Regina B. Hines Ellison, Ocean Springs 1892, (Lewis Printing Services: Pascagoula-1979), 87 pages. -----------------------------, Ocean Springs, 1892, 2nd Edition, (Lewis Printing Services: Pascagoula-1991), 150 pages. The History of Jackson County, Mississippi, (Lewis Printing Services: Pascagoula-1989), 438 pages. H. Grady Howell, Jr., To Live and Die in Dixie, A History of the Third Mississippi Infantry, CSA, (Chickasaw Bayou Press:Jackson, Mississippi-1991), 644 pages. Jackson County, Mississippi School Census (1912), (Ocean Springs Genealogical Society: Ocean Springs-1989), 82 pages. Journal of the Frigate "Le Marin" (September 5, 1698-July 2, 1699), (Blossman Printing Company: Ocean Springs-1974), 70 pages. Journal of the Jackson County Genealogical Society, Pascagoula (published quarterly since 1984). Helen Kerr Kempe, The Pelican Guide To Old Homes of Mississippi, Volume 1: Natchez and the South, (Pelican Publishing Company: Gretna, Louisiana-1977). Darlene Krohn, The Descendants of Jerome Ryan, (Krohn: Latimer, Mississippi-1995). Main Street Through Mississippi on the Old Spanish Trail, J.H. Jacque, compiler, and A.A. Heldt, photographer, (Gulfport Printing Company: Gulfport-circa 1925). Larry Cosper at Local Color Gallery has the only copy in Ocean Springs. Mexican Gulf Coast Winter Resorts (Illinois Central Railroad Promotional Pamphlet circa 1890), Biloxi Public Library Archives. Richebourg Gaillard McWilliams, Fleur de lys and Calumet, The Penicaut Narrative, (LSU Press: Baton Rouge-1953), 281 pages. Richebourg Gaillard McWilliams, Iberville's Gulf Journals, (University of Alabama Press: University, Alabama-1981), 195 pages. Mississippi Coast History and Genealogical Society, Biloxi (published three times a year since 1968). Mississippi Gulf Coast Yesterday & Today (1699-1939), Federal Writers Project in Mississippi Works Progress Administration, (Gulfport Printing Company: Gulfport-1939), 162 pages. Lu Hartley Morehead, Old Spanish Trail Along the Mississippi Gulf Coast, (Dixie Press: Gulfport, Mississippi-1955 and 1958). Nola Nance Oliver, The Gulf Coast of Mississippi, (Hastings House: New York-1941). Approximately 100 pages. Thomas Park, Recollections of Ocean Springs (1911-1919), (Chicago-1982) (a monograph written about Park's boyhood recollections located in the vertical files at the Ocean Springs Public Library), 33 pages. Requiem, Jackson County Cemetery Records (Three Volumes), (Jackson County Genealogical Society-1969), 464 pages. Elizabeth Lemon Roberts and Ray L. Bellande, Ocean Springs The way we were 1900-1950, (Ocean Springs Rotary Club: Ocean Springs, Mississippi-1996), 159 pages. Betty Clark Rogers, Miscellaneous Records of Jackson County, Mississippi, (Volume I), (Jackson County Genealogical Society: Pascagoula-1990), 152 pages. Betty Clark Rogers, Obituaries, Marriages, and Celebration of Jackson and George Counties, 2 volumes, (Jackson County Genealogical Society-1989 and 1991), 275 pages. Bernard Romans, A Concise Natural History of East and West Florida, (reprinted Pelican Publishing Company: New Orleans, Louisiana-1961), 291 pages. C.E. Schmidt, Ocean Springs French Beachhead, (Lewis Printing Services: Pascagoula-1972), 142 pages. Collen C. Sholtes and L.J. Scholtes, Biloxi and the Mississippi Gulf Coast: A Pictorial History, (The Donning Company: Norfolk, Virginia-1985), 219 pages. M. James Stevens Collection, Ocean Springs (Book No. 112), Biloxi Public Library History & Archives Department, approximately 500 pages. Jean Strickland and Patricia N. Edwards, Confederate Records of Jackson County, Mississippi, (Moss Point, Mississippi-1988), 178 pages. Charles L. Sullivan, Hurricanes of the Mississippi Gulf Coast-1717 to Present, (Gulf Publishing Company: Biloxi-1986), 139 pages. Charles L. Sullivan, Hurricanes of the Mississippi Gulf Coast-Three Centuries of Destruction, (Mississippi Gulf Coast Community College Press: Perkinston, Mississippi-2009), 174 pages. Charles L. Sullivan, The Mississippi Gulf Coast: Portrait of a People, (Windsor Publications: Northridge, California-1985), 200 pages. Ray M. Thompson, "Know Your Coast", (Biloxi Daily Herald-1955-1956), Biloxi Public Library Historical and Genealogical Section. Twentieth Century Coast Edition of the Biloxi Daily Herald: Historical and Biographical (George W. Wilkes & Sons: Biloxi-1902? ), 100 pages. R.A. Wilkinson, "The Gulf Coast", letters written for The New Orleans Times Democrat, (Passenger Department L&N Railroad: Louisville, Kentucky-1886), 63 pages. Thomas C. S-Wixon, Photographs From the Past, Jackson County, Mississippi, (Wixon: Pascagoula-1982). 96 pages. WPA For Mississippi Historical Data-Jackson County,(State Wide Historical Project-1936-1937), 478 pages. Volunteer Fire Companies of Ocean Springs, Mississippi, including Ernest Schimdt's Condensed History of Ocean Springs, (1960), 38 pages. Larry Ziglar, A History of Jackson County, Mississippi (Masters Thesis: Mississippi College-1961), 175 pages. The Ocean Springs Naiad- first published on September 10, 1853. First and second issues were printed in the New Orleans Daily Picayune in September 11 and 18th, 1853. Copies may be seen in Book 112 (Ocean Springs) of the M. James Smith Collection at the Biloxi Public Library. The Ocean Springs Gazette- first issue 1854. George A. Cox, proprietor; T.H. Manning, publisher; E.K. Washington, editor. There was a copy of the March 24, 1855 edition in the Ocean Springs Public Library, but it was loaned or given to the Ocean Springs City Museum in the MC O'Keefe Cultural Center in 2010. The Ocean Springs Tattler-published in the 1870s. No known copies available. The Ocean Springs Signal-published only in 1892 by C.W. Crozier and F.L. Drinkwater. (see Ocean Springs French Beachhead, pages 80-81). The Ocean Springs Wave-published for 10 months in 1896 by Arthur Soule. Jules Soule, editor. Two issues (1896) available at Mississippi Department of Archives and History and on microfilm at the Pascagoula Public Library. The Progress- A.E. Lee (1874-1936) publisher and editor from 1897-1903. Lee sold to Ernest Beaugez. Plant destroyed by fire March 4, 1905. Some issues (1904-1905) available at Mississippi Department of Archives and History, and Chancery Court of Jackson County Archives in Pascagoula. The Ocean Springs News- (1905 to 1915). A.E. Lee publisher and editor from 1905 to 1915 when he sold to Thomas Ewing Dabney (1885-1970) who became editor and Winifred Dabney, publisher. Dabney sold out to Lee in August 1916. Lee changed the name of the paper to The Jackson County Times. Available on microfilm, at the Jackson County Chancery Court Archives in Pascagoula (January 16, 1909 to December 23, 1911 and January 6, 1916 to July 13, 1916). Some issues on microfilm at the Ocean Springs Public Library (November 14, 1914 to March 1916). The Jackson County Times-(1916 to 1947). A.E. Lee publisher and editor until his death in 1936. His son, Harry R. Lee (1903-1951), was publisher and editor until his death in 1951. Copies available 1916, 1917, 1920-1927 and 1929 in bound books at the Jackson County Chancery Court Archives at Pascagoula. March 1943 to January 1947? on microfilm at the Ocean Springs Public Library. Mississippi Department of Archives and History has (1918-29, 1933, 1936, 1949, 1951-1953) on microfilm. The Gulf Coast Times-(1947 to 1953). George W. Reagen, editor. On microfilm at Ocean Springs Public Library, and Ms. Dept. of Archives & History. Some original issues at the Jackson County Chancery Court Archives in Pascagoula. The Ocean Springs News-(1953 to 1967). Published by Gulf Graphics Publishing Company, James Fraser-editor. Bound copies 1964-1967 in Ocean Springs Library. The Daily Times-News-?-1964. Published by Gulf Graphics Publishing Company (five days per week). Four January 1964 issues bound in the Ocean Springs News 1964 Book at the Ocean Springs Library. The Jackson County News-1968. Richard Hathorne, editor. Bound copies in Ocean Springs Library. The Ocean Springs Record-June 1966 to 2006 on microfilm or bound at the Ocean Springs Public Library. The Ocean Springs Record has an archives of back issues in their office at 715 Cox Avenue. The following maps are old and give one an idea of the local geography from the French Colonial Period to the Civil War. Specific Map of Fort Maurepas and the Bay of Biloxi and the Surrounding Area (c. 1700). Scale (1"=570'). Copy available at the Biloxi public Library. New Biloxi (c. 1720). Copy available at the Biloxi Public Library. Map of the Coast of New Biloxi (1"=3 1/4 miles). Copy available at the Biloxi Public Library. Map of Part of the Coast of New Biloxi With Surrounding Islands (1"=7200'). Culmseig Map of 1854 (One of the first surveyed map of the Village of Ocean Springs). Copy available at Chancery Clerk's Office in Pascagoula and Ocean Springs Public Library. US Coast Survey (1851) Harbor and Back Bay of Biloxi (1:10000) by W.E. Greenwell and W.M. Johnson. Biloxi Public Library. US Coast Survey (1858) Biloxi Bay (1:40000) by W.E. Greenwell and S.A. Gilbert. Biloxi Public Library. Sanborn Maps (for insurance purposes): 1893, 1898, 1904, (2 sheets), 1909 (3 sheets), and 1925 (4 sheets). Ocean Springs Public Library. Others: Ray L. Bellande has a personal collection of maps and surveys plats of the area which he has found and reproduced while searching for Ocean Springs' past glory. September 9, 1993, ditto, repeated because of errors by OS Record. September 16, 1993-Did (does) your house have a name? July 28, 1994, Carter-Calloway House: "Steamboat House"
August 4, 1994, Who was the Widow LaFontaine? November 14, 1996, Oil and Gas Exploration: Jackson County, Miss. February 13, 1997, Biloxi Bay Colonial Shipwrecks: Mystery Ship? July 17, 1997, Brother Isaiah (1847-1934): "Miracle Man"
November 1, 2001, "St. John’s Episcopal Church:1891-1892"
June 2, 2005, -California vacation. The Ocean Springs Record, published an old column. July 19, 2007, The Ocean Springs Record was sold to Bay Newspapers, Inc. on July 16th, 2007. Au revoir James and Cindy Ricketts! August 2, 2007, new staff omits photograph. must re-run. October 7, 2009, Who Was The Widow LaFontaine? i. County archives-diaries, family photographs, etc.